Dangerous goods, general freight & oversized transport specialists. Bruce Avery started Bruce Avery Transport 20 years ago with one truck and a lot of determination. 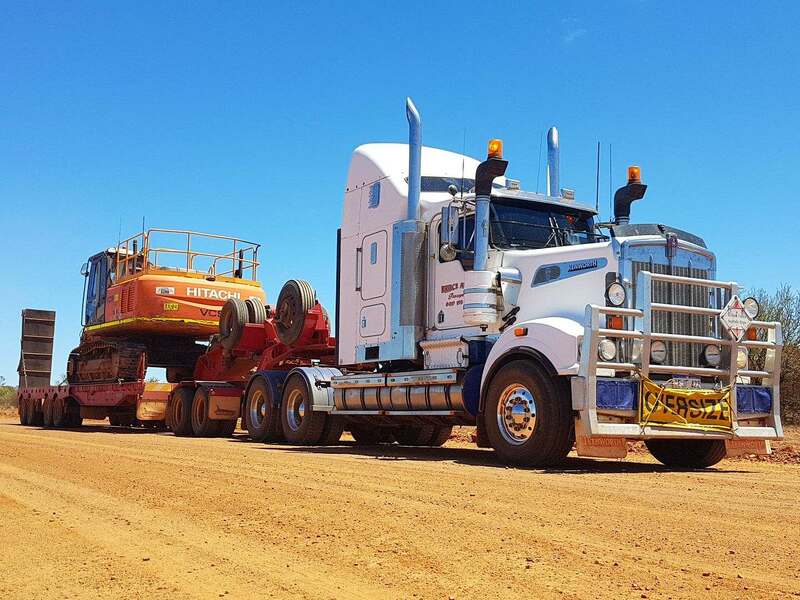 Through hard work, dedication and the help of his capable loyal staff he grew the business to what it is today; one of the most respected and experienced transport service providers in the WA & NT region. We now own a large fleet of vehicles, which we maintain and service at our fully equipped workshop in Perth. With a staff complement of 30 we continuously strive to provide a reliable personalised service to our clients throughout WA, NT and Australia. We only work with carefully selected and reliable subcontractors and our staff are fully trained in fatigue management and transport operations. Between our management staff, they have more than 60 years’ experience in the transport industry, and we are certified under the Main Roads Heavy Vehicle Accreditation System.